The London Free Press' Best of London 2016 results are out! 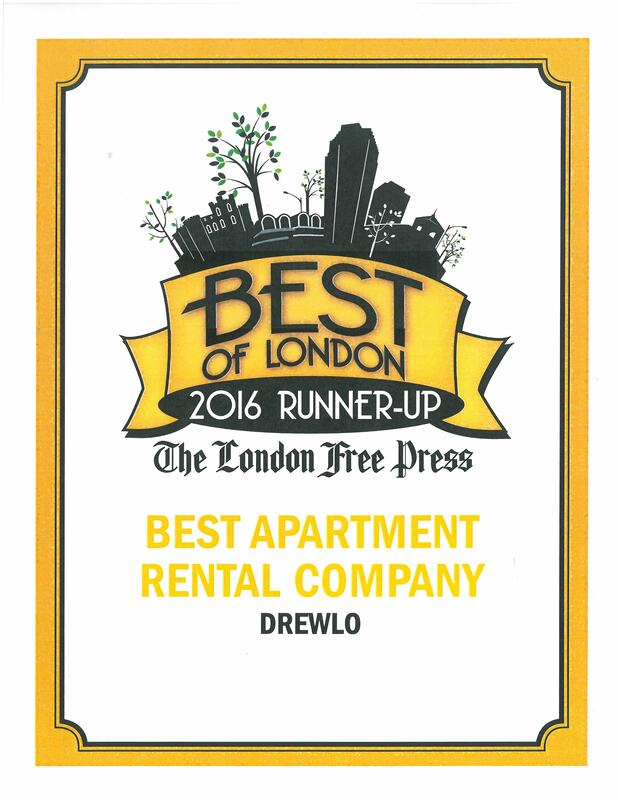 Thanks London for voting us runner-up Rental Apartment Company. We continue to strive to provide our tenants with the best luxury apartments in this city. With fantastic support of our landscaping, maintenance, and head office teams, we hope to be number one in 2017!